Whether you are going for an old-school rockabilly look or want more of a rough and tough biker vibe, you should consider a cost-efficient solution—custom printed bananas! I mean… bandanas! Sorry, but you can’t blame a monkey for having bananas on the brain. 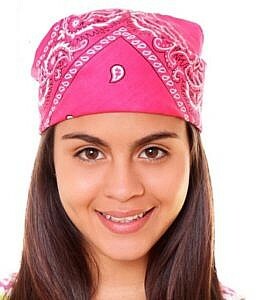 Anyway, the awesome people here at Monkey in a Dryer Screen Printing have a super simple way to design and customize bandanas in a variety of colors and sizes. Contact us today to learn more about our custom printed bandanas. We are based in Hopkins, Minnesota, and proudly serve all of the Minneapolis/St. Paul area and ship products to customers nationally and all over the world. #1 selling bandana! 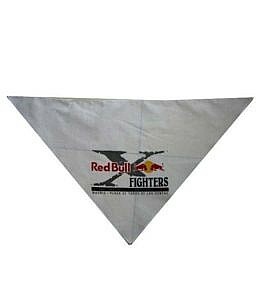 Bandanas are a great promotional giveaway for any outdoor event from bicycling, camping, marathon running and music festivals. 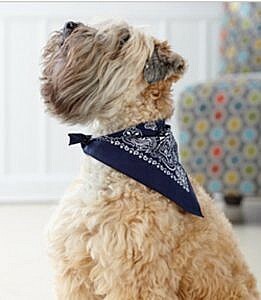 Whether you have four legs or two, our triangle bandanas are great for any event! Comes in a variety of sizes and colors. These pet size bandanas are great for your next animal rescue fundraiser or event? Comes in a variety of colors!